We are assembling a library of useful materials and resources that will help you develop and build your knowledge of the issues and measures available to create cyber resilience. We've also produced a Cyber Risk Matrix that helps you connect threats, their impact to the business exposure and Insurance. 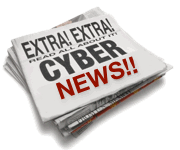 For more information on any aspect of the Cyber Risk & Insurance Forums work please contact us directly. If you would like to know about how you can work with us please contact any information or news you think we should feature please email us at info@cyberriskinsuranceforum.com.